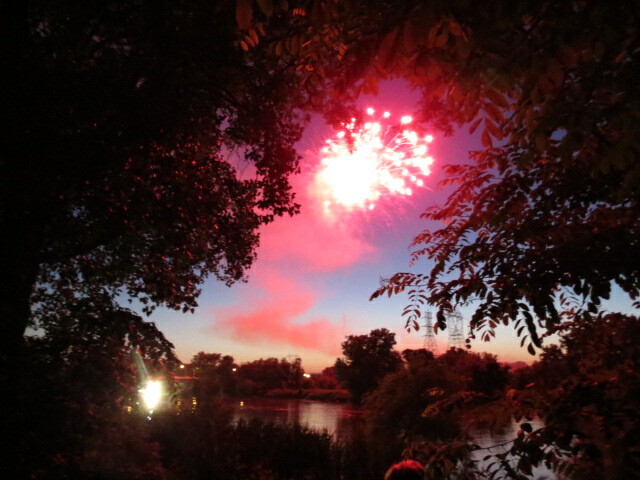 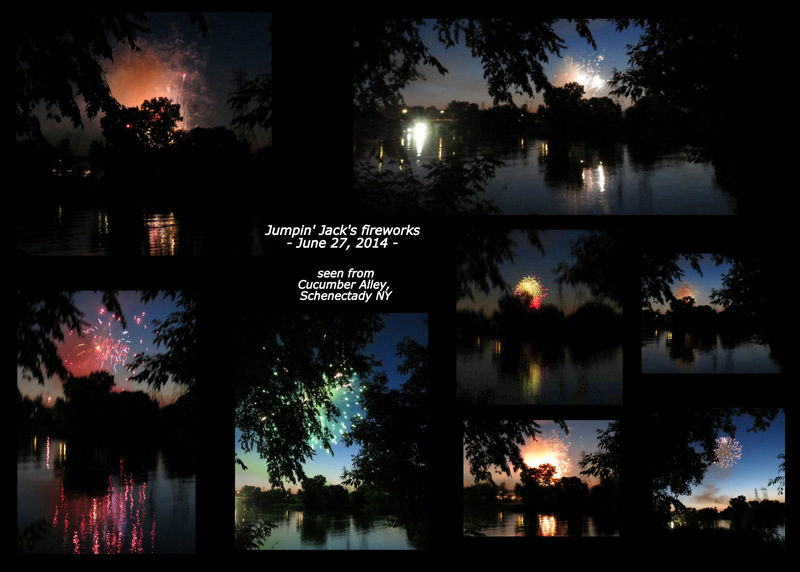 The 2014 pre-Fourth of July fireworks from Jumpin’ Jack’s Drive-in along the Mohawk River in Scotia were beautiful and enjoyable, celebration of both our nation’s Independence and the life of Jill Vanselow, an 11-year Jumpin’ Jack’s employee, who died one night before her favorite workday of the year. 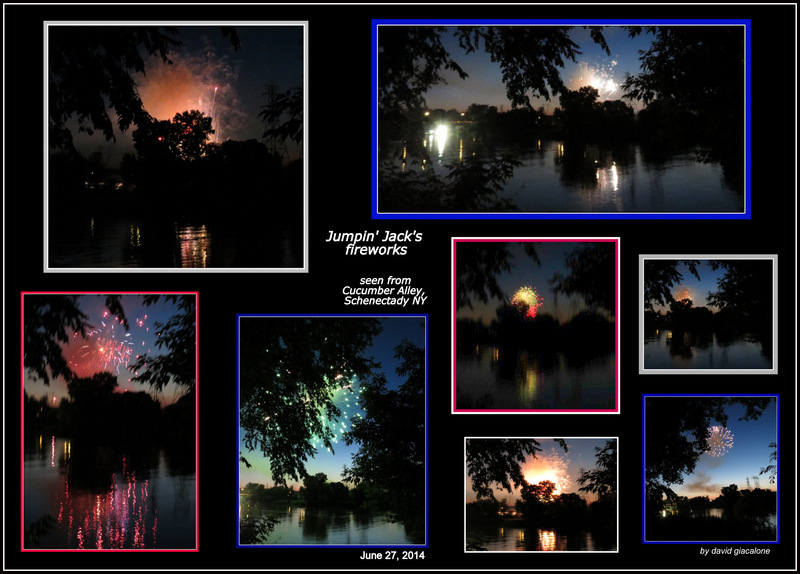 See “Celebration, mourning at Jumpin’ Jack’s: Longtime worker dies in fire on eve of fireworks show” (Schenectady Gazette, June 28, 2014, by N. Campbell and M. McGuire; by subscription) Her fellow employees were in mourning on the Drive-in eatery’s biggest day of the year, and wrote Ms. Vanselow’s initials on their arms and hats as a remembrance of an upbeat and respected colleague. 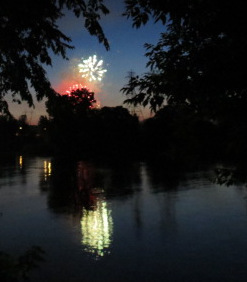 As it is our tradition here at suns along the Mohawk, the editor-photographer was across the River at the end of Cucumber Alley, behind his Stockade home, snapping scores of photos and hoping a sufficient number of them were in focus for a decent posting. 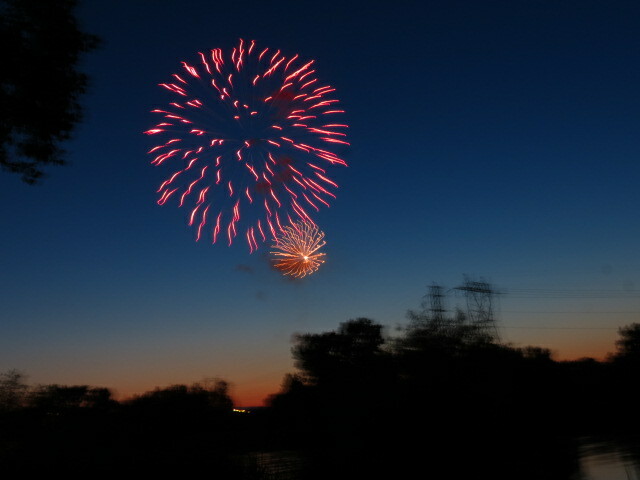 The scent of mosquito repellant, another tradition, followed me from perch to perch. 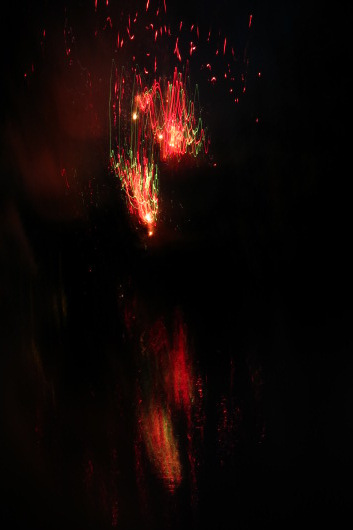 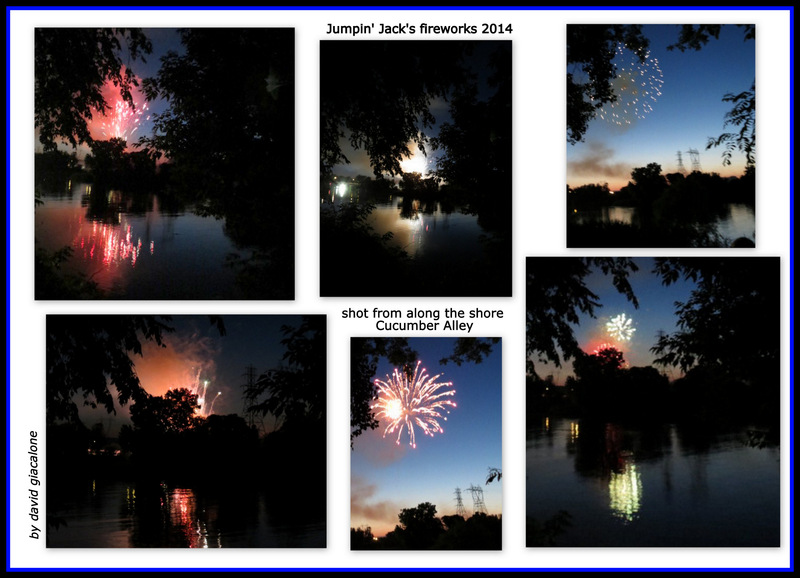 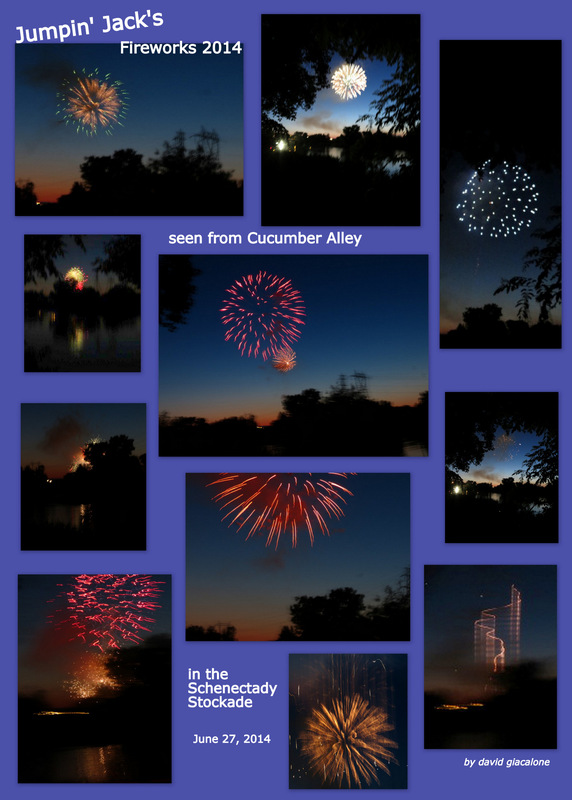 Due to a resolution problem, I’ve decided to display the photos of the Jumpin’ Jack’s fireworks in collage form.
. click on the collages for a larger version .